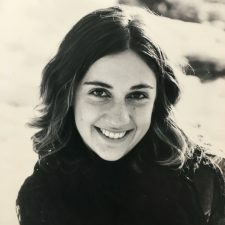 Kristin wrote a bi-weekly column called “Ask The Organizer,” featured in the Shore Publishing newspapers for 7 years and owned The Organized Lifestyle Store from 2006-2011. Kristin was named 2007 Small Business Person of the Year by the Guilford Chamber of Commerce. In her spare time she loves to knit, paint, cook, organize for herself and sleep. 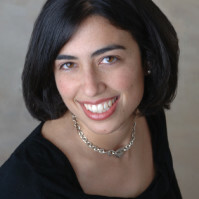 Kristin founded Livable Solutions professional organizing in 2004. She spent five years working on Capitol Hill in Washington, D.C. and decided that her true talents were found in helping people organize their lives as a professional organizer. In 2005 she brought her business back to her hometown of Guilford, CT.  Over the years she has performed various duties for her clients including: massive household purging, creating home filing systems, restructuring closets to make them more efficient, setting up spaces for home businesses, staging yard sales, selling unwanted objects online, purchasing custom products for clients, and hauling unwanted objects to donation sites. She also performs bookkeeping, creates customized paper management systems, and provides business consulting services to small businesses. She made a hobby into a career and loves to help others organize their time, homes and offices. She also teaches other basic organizing principles through lectures and seminars. 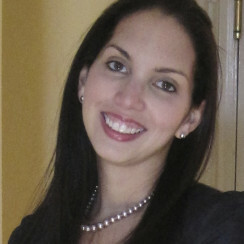 Kristin received her Bachelor of Arts Degree from Franklin and Marshall College. She has her Masters in Management (MSM) and her Masters of Business Administration (MBA) degree from Albertus Magnus College. Kristin’s latest and greatest job has been taking care of her son Andrew with her husband Chris, who owns Vandertech (www.vandertech.com), a computer consulting business. After receiving a BA degree from Bowdoin College in 1999 and a Masters in Landscape Architecture from the University of Pennsylvania in 2004, Heather worked for six years on the design team for the Central Park Conservancy in New York City specializing in designing playgrounds. When her twin boys were born in 2012, she and her family moved to Madison, CT. In 2017 they welcomed a baby girl. For Heather, professional organizing is a way to use her design skills and experience as the mom of three, to help people create a happier and more productive relationship to the spaces in which they live and work. A hobby organizer who used to tidy her friends’ rooms on play dates, Lindsay is thrilled to be organizing professionally. Lindsay has a Bachelor’s Degree in Human Development and Family Relations from UConn, a Bachelor of Fine Arts from Hunter College, and a Masters in Childhood Education with a concentration in Art Education from Hunter College. While living in Brooklyn for 10 years and Philadelphia for 3, Lindsay developed an appreciation for architecture and honed her skill for living large in small spaces. She recently moved to her husband’s hometown of Guilford after completing the ultimate organizing project: designing and building their new home. (Well, someone else actually built it, but she was there every day! As an art teacher of 20 years, Lindsay comes to organizing with an eye for detail and an obsession with aesthetics. She believes a space functions best when it is beautiful, and takes great pleasure in creating stylized spaces that not only look great but feel good to be in. She enjoys decanting dry goods, rainbow order, collections, tag sales, cute things in glass jars and on trays, travel, art, eating, cooking, ceramics, beachcombing, yoga, hiking, and spending time with her son, daughter, and husband (but not necessarily in that order).